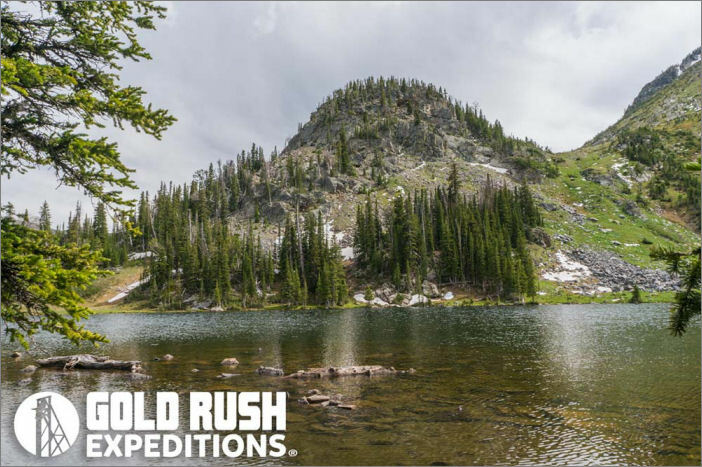 Gold Rush Expeditions, Inc. is proud to present the McKelvey Gold Mining Claim for Sale. 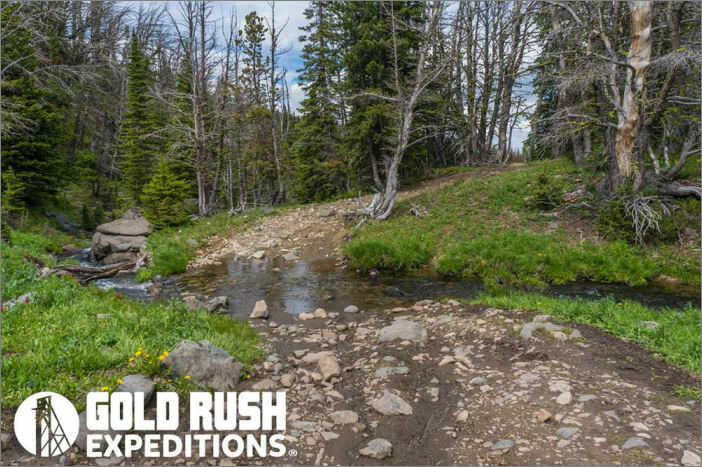 This is a 20 acre placer mining claim for sale exclusively through Gold Rush Expeditions, Inc. The claim is located just outside of Ennis, Montana and has been properly staked and marked at all corners. All Gold Rush Expeditions, Inc. claims have been meticulously surveyed, mapped and researched. Field work is completed by our own experienced, well versed Mine Survey Team. This is a third party sale and not eligible for financing. The McKelvey is placed right in the center of the gold producing zone in the canyon. Coming down from the Frisbee Mine up on Mine Lake, the river washes down into McKelvey Lake, which is heavy with black sand and fleck gold. McKelvey dumps into a stream that runs down hill, into a large waterfall (30' drops) and continues down to the New Deal Mine where gold nuggets have been reported in the stream as recently as 2011. 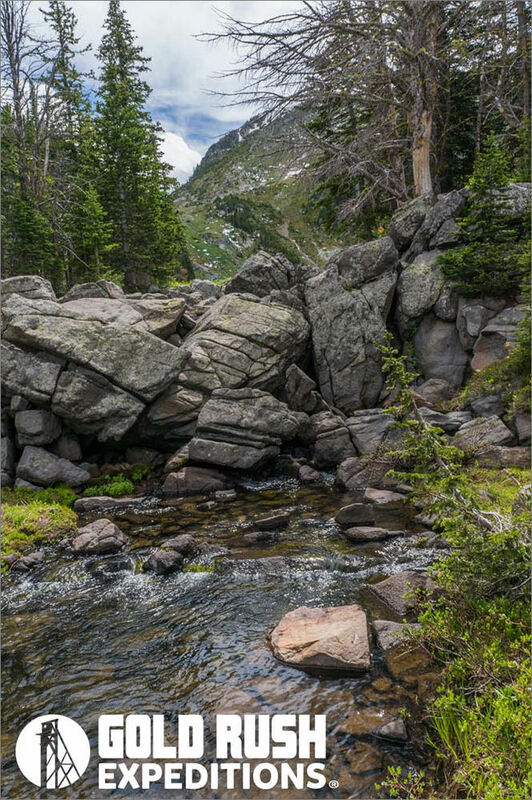 The claim spans over the majority of the interesting stream beds, part of McKelvey lake, and the stream and falls below the lake, where gold has been historically mined. The black sand and flake gold can be followed the length of the stream to where it fades out past the New Deal Mine. It is reasonable to presume that each year, with spring run off, more gold will be breaking down and carried along with the water runoff from Mine lake and the Frisbee mine, into McKelvey lake the streams below. There is a great seating area with carved wooden seats on the claim by the lake. 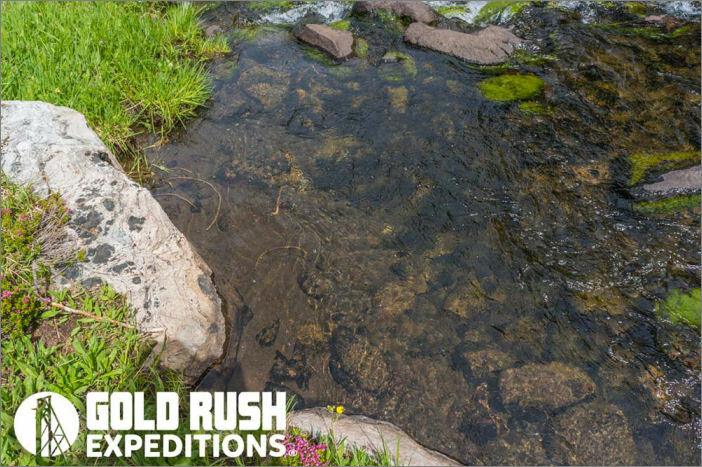 The stream has many 50-200 pound boulders, which are ideal trapping spots for runoff gold.